Check out the highlights, as Sergey Kovalev schools Eleider Alvarez to regain the WBO Light Heavyweight Title. Last night (Sat. 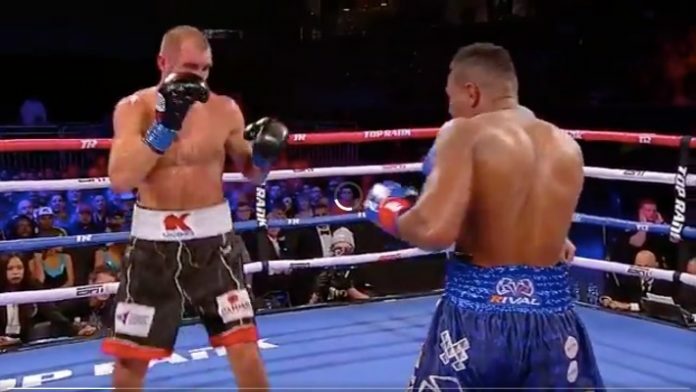 February 2, 2019) WBO light heavyweight champion Eleider Alvarez defended his title against Sergey Kovalev. The Top Rank Boxing event took place from the Ford Center at The Star, in Frisco, Texas. Alvarez attempted to solidify himself as the WBO light heavyweight champ by once again besting Kovalev inside the ring. However, “Krusher” came much more prepared for their second go-around. He showed pressure from the opening bell, much-improved cardio, and flawless technique.